So how much did Ash's Hospital 'Staycation' Cost? I guess it's no secret when I say this little thing called life is not at all boring, or shall we say, that smooth. There will be some obvious turns - job, marriage, children, retirement - in one's life that will trigger changes in your financial plans. Then of course, there may be twists along the way such as job loss and illness that will call for even more prudent handling. You may have read about Ash's ordeal last month when he was hospitalised due to cellulitis and an early stage of sepsis. Certainly nothing to scoff at as it could have been potentially life-threatening. (Read all about it HERE) Fortunately, he was diagnosed early, put on anti-biotics drips and was discharged after 2.5 days. While the primary moral of the story is to always take proper care of scrapes and cuts to prevent cellulitis, the other lesson I learnt was to have adequate insurance coverage. Because this was Ash's hospital bill. 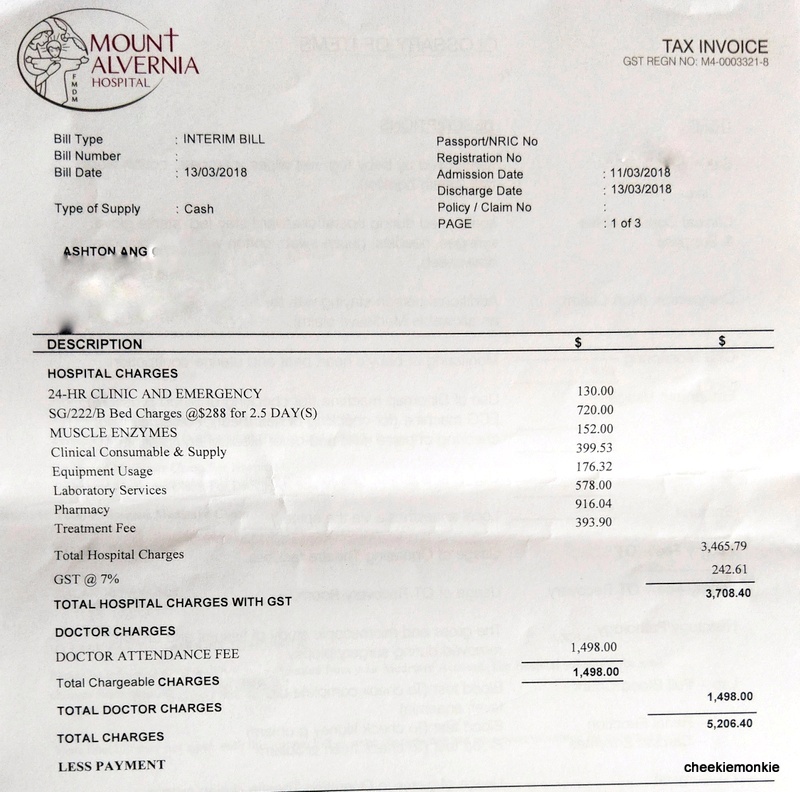 A WHOPPING $5.2K BILL FOR A 2.5-DAY STAYCATION! We actually did go to NUH A&E first but unfortunately, there was only C-Class beds available on that day. And it seemed to be quite the long wait. All the wifey and I wanted was for the anti-biotics drip to be administered swiftly - because who knows what will happen if there was a delay - so we decided to go private instead. 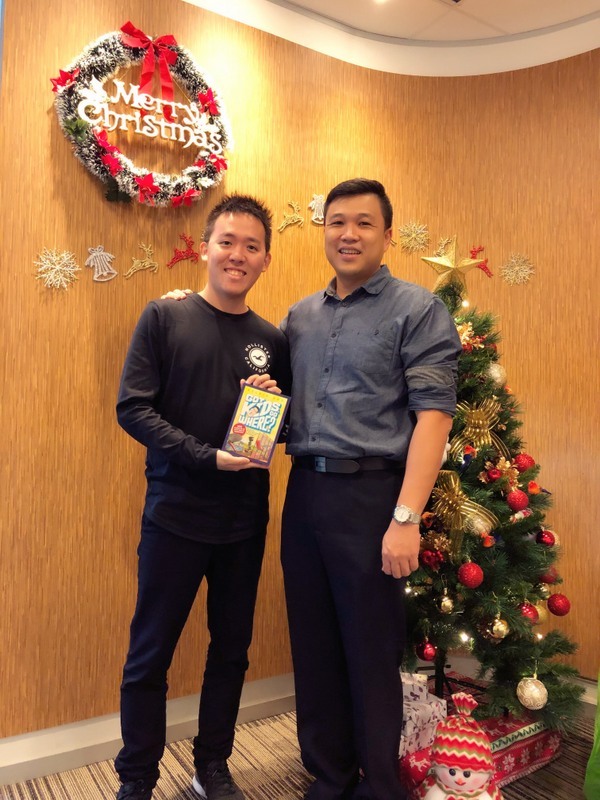 Thankfully, he had the Healthshield Gold Max plan from AIA Singapore which made the decision much easier. After writing so many reviews and advertorials for other products and companies, I realised I had never written one for myself. LOL. In case you did not know, I do have a day job - I'm moonlighting as a blogger - as a Financial Services Consultant with AIA Singapore. I have been in this job since 2000 when I first joined the industry part-time during my university days so I can safely say I have seen my fair share of clients (and insurance needs) over the past 17+ years. This is because as responsible parents, we need to ensure that our financial future as a means to support our children is not compromised even when we lost our financial earning ability. How do we do that? Obviously, maintaining a healthy lifestyle and trying to build up a passive income stream are two ways. But when life throws us curve-balls in the form of sudden illness - cases which I have seen over the past years - then our income takes a hit when we are not able to return to work. The undeniable fact is illnesses are more likely to occur as one ages. So having lifelong protection for scenarios such as critical illness and terminal illness will ensure that you always have a financial safety net. Which is why I ALWAYS advocate purchasing a hospitalisation plan in the form of AIA Healthshield Gold Max even when my clients do not have a big budget to start a financial plan. For a greater peace of mind, complement your cover with the AIA MAX ESSENTIAL add-on, which covers the deductible and co-insurance portions of your hospital bill so you get coverage from the first dollar! 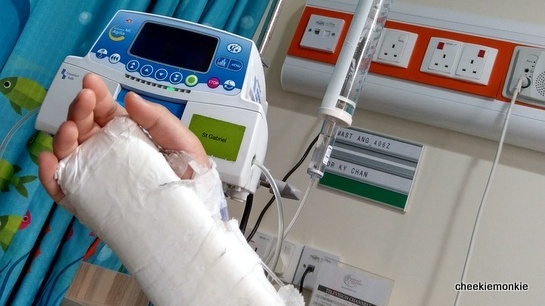 If you already have a hospitalisation plan in place, good for you! But because our life needs are constantly changing as our kids grow up, it is important to periodically review our insurance policies to include planning for critical illnesses, education for kids and retirement so as to keep pace with the ever-changing circumstances. As I have mentioned, I am a Financial Services Consultant with AIA for the past 17+ years. And while this is NOT a sponsored post for AIA, the reason why I am writing about this on my blog is I have seen clients who have gone through the speed bumps of hospitalisations, illnesses and sadly enough, deaths to know that insurance planning can truly be helpful in these circumstances. Should you wish to find out more about how to plan for your family, feel free to contact me at angkelvin@aia.com.sg. I will be partnering with Perry Lau, a Financial Services Manager who has been with AIA since 2012. He has mroe than 600 clients under his care, and is a member of the Million Dollar Round Table (MDRT) 2018 and Centurion Club 2018. So you will be getting two for the price of one when you meet up with us! Because Parenthood has a way of jolting people like nothing else can, I think I speak for most parents when I say we strive to give our kids the best head start in life as far as we can afford... sometimes even at the expense of our own financial security.